Actor Kim Soo-hyun’s current status has recently been revealed. The famous actor’s recent photo was uploaded on September 3rd. 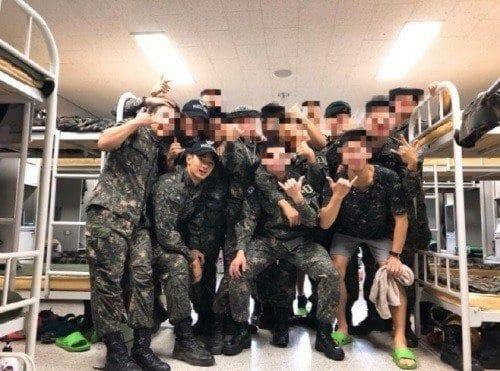 Kim Soo-hyun joined the army on October 23rd, 2017. He has been training hard at the training camp and have been assigned to the 1st Division Search Corps. He has been keeping silence for a long time, and this made his fans feel sad. But now, he has appeared again! He was with his fellow ‘soldiers’ at the dormitory. They all looked like they were having fun. He also took a selfie with the men.